Are you trying to raise money for a startup? If the answer is yes and you happen to be in Santiago, Chile tomorrow, you may want to attend Webprendedor Capital. As Spanish speakers may have guessed, Webprendedor is a contraction of ‘web’ and “emprendedor‘, the Spanish word for ‘entrepreneur’. As for Capital, it is not a reference to Santiago, but to the theme of tomorrow’s event, which will focus on the best ways for Chilean startups to raise funds. 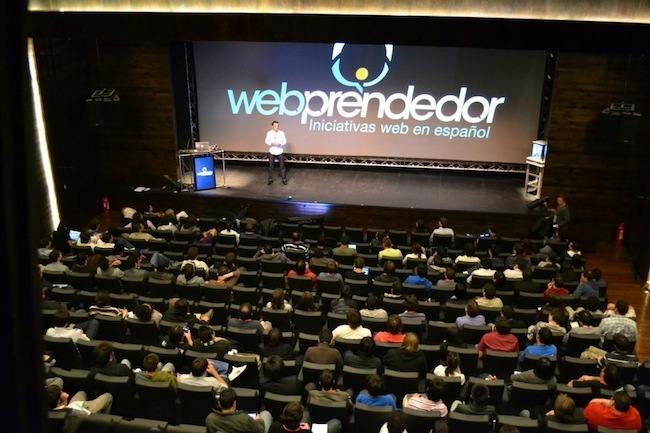 It’s not the first time we mention Webprendedor here; its annual conference on digital entrepreneurship exists since 2006, and we recently followed it across Chile, from Valdivia to Concepcion and Santiago. However, Webprendedor Capital is the first conference of its kind. Announced just a few days ago, it is described by its organizers as a “flash” event, which will give participants an opportunity to meet up in an informal environment. The number of participants is limited to 100 on purpose, so that users can talk directly to the speakers and learn from their experience. As a matter of fact, one of the ideas behind this event is to ‘give back’. According to Webprendedor’s co-founder Nico Orellana, raising capital for a startup was far from common three years ago in Chile, and no one even used those words. However, Chilean startups like 500Startups’ Welcu, which he co-founded, and Zappedy, which was recently acquired by Groupon for US$10.3m, proved that Chilean entrepreneurs had little to envy to their foreign counterparts. Still, most startup founders in Chile are first-time entrepreneurs, who still have a lot to learn about the ins and outs of startups – how to incorporate in Delaware, how to know whether or not to raise capital and how much, how to negotiate a term sheet, etc. This is exactly the purpose of Webprendedor Capital: to give early-stage entrepreneurs an opportunity to learn all these tricks from people who already went through this process. Besides Orellana himself, the speakers’ list include the founders of young startups such as Hadza, ComparaOnline, Hop.in and Splitcast, but also a lawyer, a government representative and an investor. In short, the type of event that any wannabe entrepreneur should attend. If you are interested in attending, please drop thenextweb@webprendedor.com a line – the first two TNW readers to send an email to this address will get a free ticket, courtesy of Webprendedor.